France Ceres 15+40+80 Centimes (all in very fine condition), cancelled "VIERZON 23 Mai 76", on mourning cover sent "chargé", with a declared value of 245 francs to Paris. 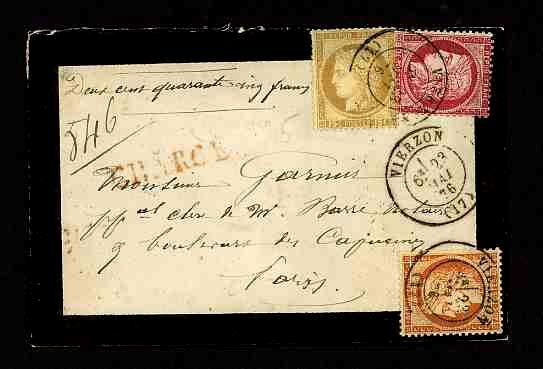 On the reverse is a beautifull strike of the "chargé" boxed postmark in red. A superb and unusual chargé mourning cover.